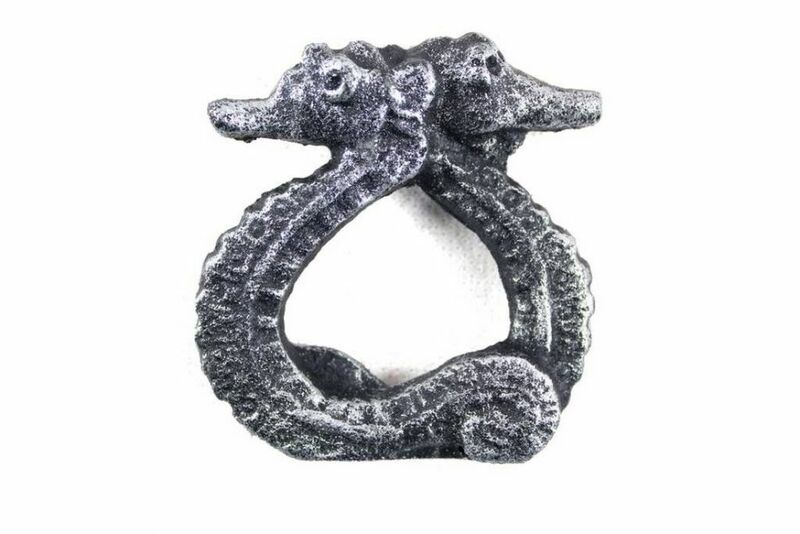 This Antique Silver Cast Iron Seahorse Napkin Ring 3" -set of 2, is the perfect addition for those with a nautical theme kitchen. 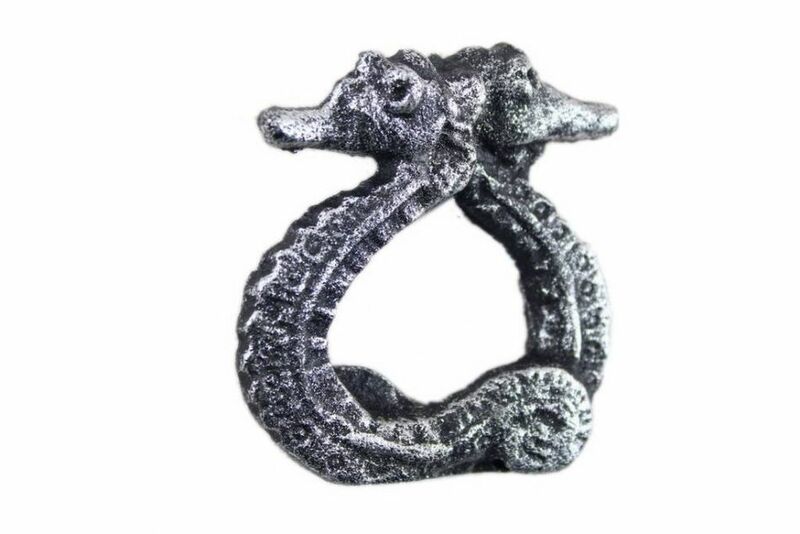 Strong, sturdy, and durable buy a set of these napkin rings to accomodate all of your guests. The cast iron finish on this seashell will infuse your dining area with a rustic nautical appearance.